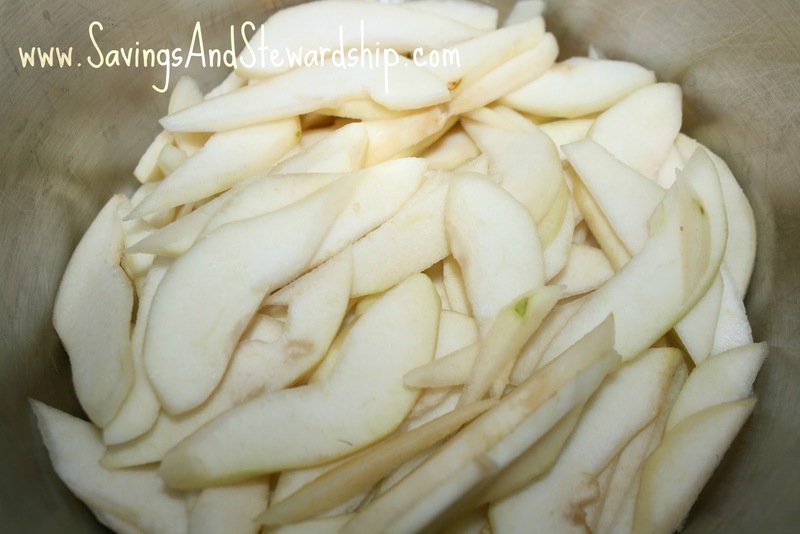 With Thanksgiving coming up in just a few days, I thought I would remind you all of my Pear Pie Recipe! In case you’re looking for a tasty alternative to the traditional Apple Pie, this one is sure to wow your crowd! Prepare your pie crust according to your favorite recipe or the store-bought instructions (personally, I like the Pillsbury store-bought kind). Preheat the oven to 450 degrees. Toss your sliced pears and lemon juice until well coated. The key to any good dish is consistency, so try to slice your pears evenly. To do this, I use a mandolin slicer (which is one of the most used & best purchased items in my kitchen). 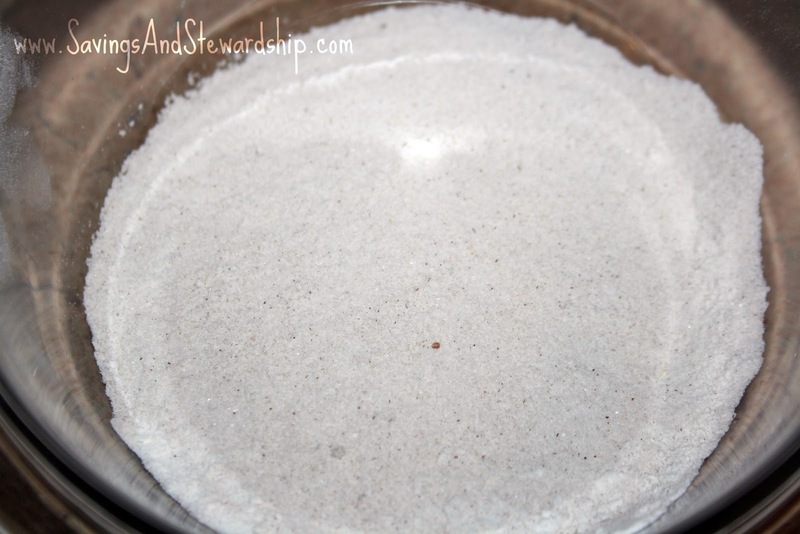 In a medium sized bowl, combine sugar and next 6 ingredients. Whisk to mix evenly. 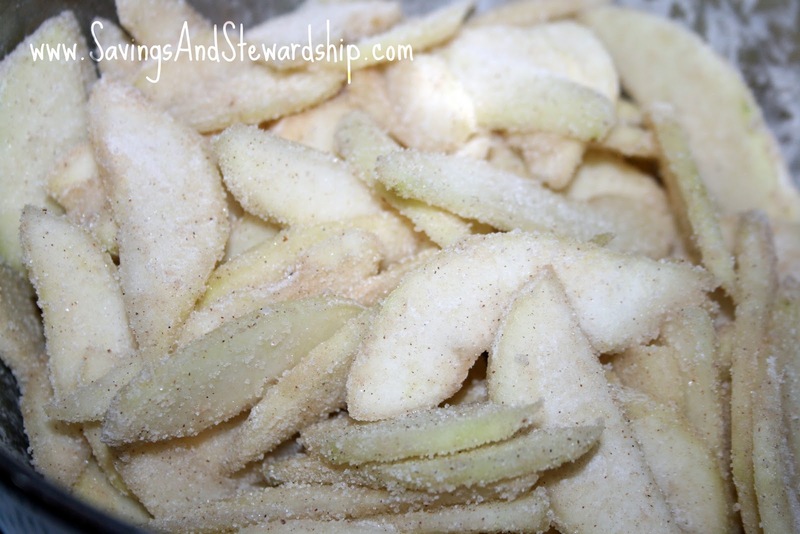 Pour sugar mixture over sliced pears & toss until coated evenly. 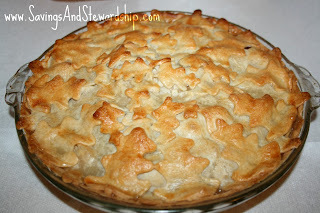 Line the bottom of a 9″ pie plate with one pie crust & dust lightly with flour (to soak up any extra juices). 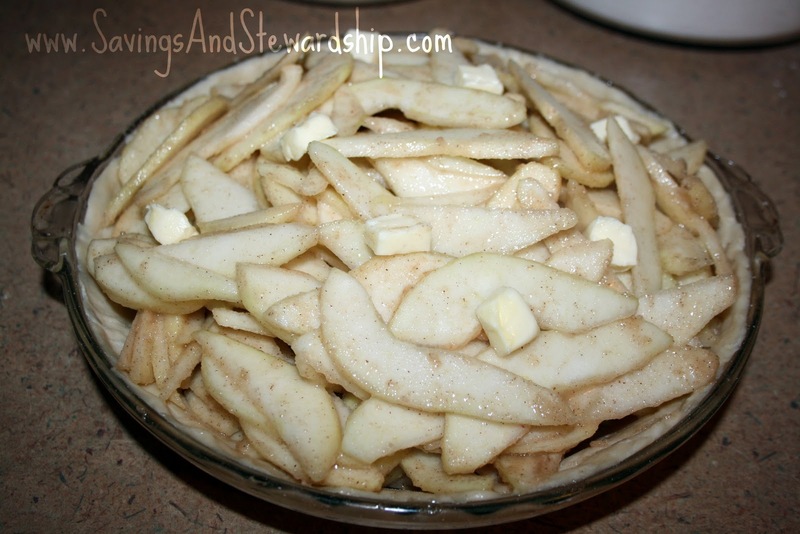 Pour your pear mixture evenly into the pie crust & dot with pieces of butter. 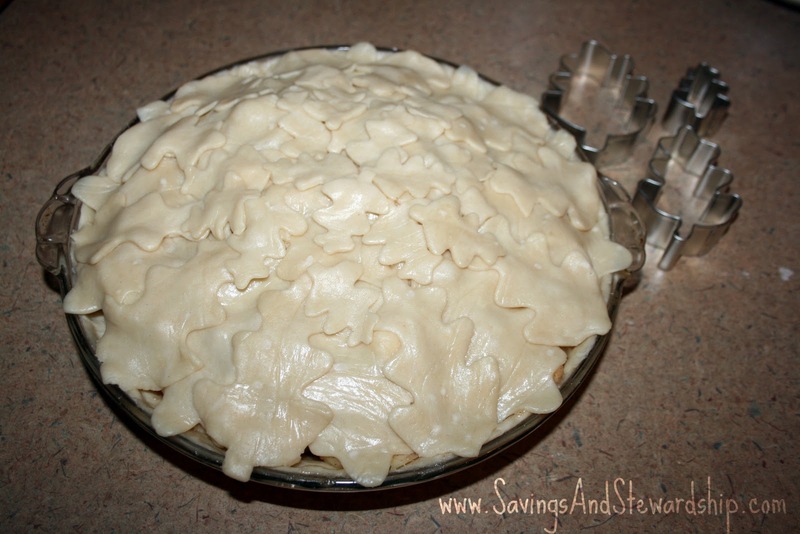 Cover with top pie crust & cut 4 one-inch slices in the top to allow for steam to escape. To make mine fancier, I used a set of leaves cutouts to cut various shapes of leaves out of my pie crust, after I had rolled it a bit thinner than usually preferred. I arranged the cutouts so they overlapped slightly & left slight holes in the top so the steam could escape. 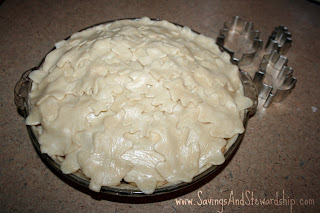 Brush the top of the pie with egg wash (egg white lightly beaten with water) & sprinkle with sugar. Place your pie on a cookie sheet lined with aluminum foil & place on center rack of the oven (alternatively, you can put the cookie sheet on the bottom rack, and your pie on the center rack). Bake at 450 degrees for 15 minutes. Without opening the oven, reduce temperature to 350 degrees and bake for an additional 40 minutes, or until golden brown & bubbling slightly. Watch your pie closely & if the edges begin to brown too quickly, over them with a silicon pie crust shield, or aluminum foil cut to fit over the edges only. Cool on a wire rack for 20 minutes before serving. Enjoy! See more kitchen creations in my Clever Kitchen! Rent “Bachelorette” from Amazon BEFORE it’s in the Theaters!!! New Old Orchard Juice Coupons!! My name is Alecia & I'll be your hostess here! I'd love for you to get to know me & browse around the site! Together, we can stretch our dollars and ensure we allocate our resources wisely!